No matter how big your newsletter base is or how many keywords you include in your emails, the search engine can’t index it. That said, it doesn’t mean SEO has nothing to do with email marketing. Your newsletters do can bring traffic to your website and increase your rankings. So why not take advantage, right? In this post, I’ll show you how email marketing can influence your positions in SERP and share 7 ways to optimize your email campaigns. Why Would You Want to Optimize Your Newsletters? 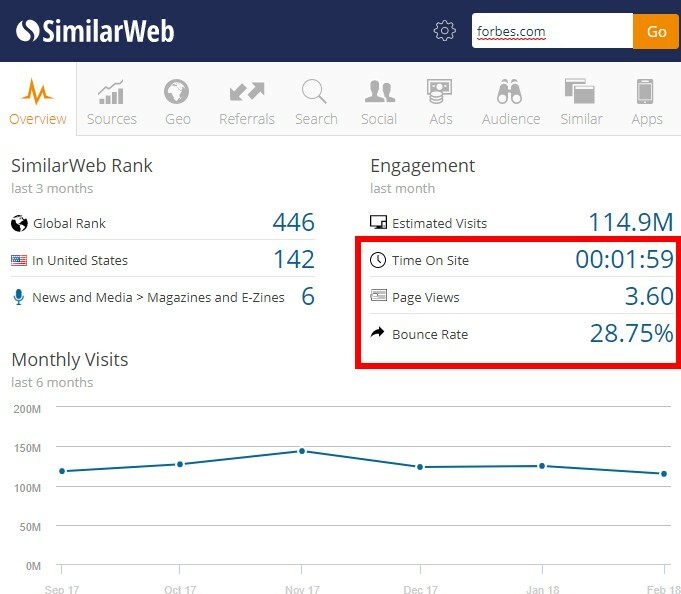 The traffic to your site is increasing, and you’re getting more engaged users that click, comment, and share your posts. The base of your subscribers is growing as they notice interesting content on your blog and subscribe to the newsletter. A lot of links from the authoritative platforms increase your site’s authority. You can use your newsletter to encourage users to link to your posts. For instance, if you published an interesting study or collected exiting statistics on your blog, leave a link to it in your newsletter. People always refer to studies in their posts to prove the point so make sure they haven’t missed your study. Make it easy to link to your post and put it in the hands of the reader using your newsletter. Neil Patel collected some interesting data here. This study shows that his email visitors write 41% of the comments on his blog when they only make up 14% of his overall traffic. It shows that readers that come through his emails are more engaged than others. 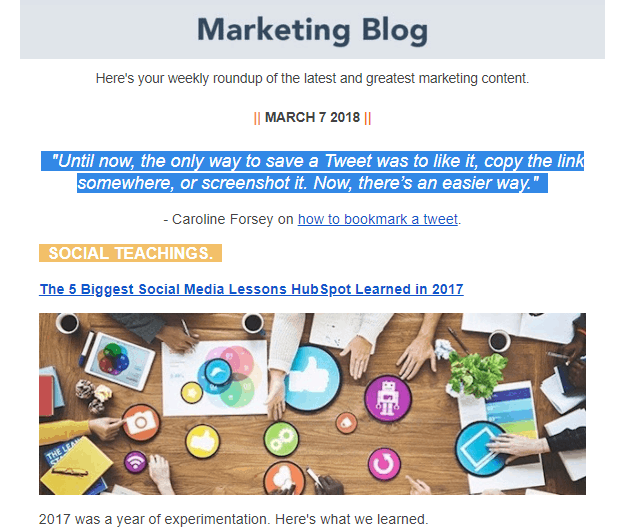 Linking to your posts in the newsletter make users come back to your site over and over again, and having engaged users that comment and share your pages is great for your ranking. Low bounce rate and a long time spent on site are factors that show search engine your site’s authority. The most obvious thing here is a promotion of your content through the newsletter. You can create digests of your best posts and send a brief intro to your readers. It improves the visibility of these post and increases traffic to your site as well. Now I’m going to describe few ways to optimize your email campaigns so that it goes along with your SEO. Don’t let interesting information die in the inboxes of your readers. Since Google doesn’t index emails, you can’t get SEO profit directly from your email campaigns. But you can publish information from your emails on your blog, and Google will notice it! Write a brief summary of the content in the email and suggest your subscribers keep reading about it on your blog. Send series of emails with valuable information and leave a link to full version of the post on your blog. As I said earlier, digests are great in case you want to bring more traffic to your blog. But this method works well as long as articles you offer in the digest are interesting and catchy. Come up with a catchy email subject line and add only valuable posts to this digest. Users won’t open it if there are articles about your product alone so don’t use your digest for a promotion. Use it to save your readers’ time, bring quality traffic to your blog, and reactivate your inactive subscribers. I mentioned that people always refer to studies in their articles as statistics is the best way to confirm their words. You can create a special list of content marketers and thought leaders that might be interested in your studies and articles. Always send newsletters with interesting insights to these people, and they’ll spread the word about your blog! With useful content in your newsletters, the number of pages referring to your site will constantly be growing, as shown in the screenshot. Backlinks are crucial signals that show search engine your site’s authority too. Test different methods to make people refer to your site and use SEO tools to monitor the progress. Add archive with all your newsletters to your site. This way your email text will be ranked by search engines. At the same time, your readers will be able to see what you’re sending to your subscribers, and it will make them more likely to subscribe to your newsletter. Optimize headlines, add keywords and attributes so that search engines can see the texts. Note that if you’re going to publish the text on your blog and in the archive at the same time, you should use the canonical tag that points to the blog page. This way search engine will understand that it should index your blog page instead of archive. If the email isn’t displayed correctly, the subscriber always has an opportunity to see the html-version of this email. There could be some problems with the images on different devices, so this step will help you avoid misunderstandings. Some tools can do this work automatically or provide you with templates. Also, you can do it by yourself using tutorials like this one. You don’t need HTML version if you already have an archive of newsletters on your site. Give a link to the page with the email at the bottom of it. This method is pretty simple: make it easy to share your posts by adding share buttons to your emails, and then ask your readers to share. Also, there are a lot of services that automatically create these buttons for you. Check out this one. Urchin Tracking Module (UTM) is a module that helps track the effectiveness of online marketing campaigns. Once the subscriber clicks the link with the UTM parameters, Google Analytics gets the information about it. In a day you can see the full statistics on a specific email in the personal profile at GA. This way you can find out where your traffic comes from. It helps you understand which emails work better, how many visitors emails bring to your site, and so on. Check out tips given above and monitor the progress. Link to your search bar at the bottom of the email to encourage people to surf your website. Thus the reader can visit several pages at once. Search engines take this factor into account when ranking. Add “read more” section to your email and send the reader links to your other posts and your search bar. This is it. Email campaign alone isn’t something that boosts your SEO and improves your rankings. That said, your newsletters remarkably influence behavior factors. With the right strategy, you can get your readers to share your posts, comment on it, and link to it. This leads to improving your engagement factors, such as long time spent on site, multiple pages visited by the reader during one visit, low bounce rate, high traffic and on-page activity, increasing of referring pages number. And these factors, in turn, lead to better website’s search rankings. So set up your email campaign so that it performs this difficult algorithm. Try all the methods and then monitor your progress. Some of them might not work with your particular audience, so you should test them, choose effective methods, and abandon less-performing ones. It’s ok if some of them don’t fit your blog, but each of them worth a try! 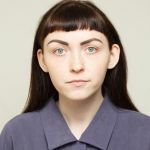 Anna Rud is a Content Marketer at Serpstat. Establishing an active presence on external resources, developing rich and quality content, and implementing brand strategy are her key responsibilities. This is a smart idea. Your email marketing can definitely help with your SEO. You just need to follow a strategy that will benefit your search engine optimization. There are many things we can do with our email marketing campaigns and benefit more from our subscribers.